This is the "HOME" page, we like the word "home" and all that it brings to mind, warmth, smores by the fireplace, faithful dogs curled up at your feet, etc. We don't have any smores and our dogs are not that faithful or well behaved but we like the sound of it all. 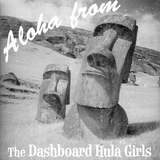 The Dashboard Hula Girls welcome you.